Tenacious, innovative string musicians/dancers with a quirky neo-trad soul, the ELB throws down soulful folk songs with an unusual live show. 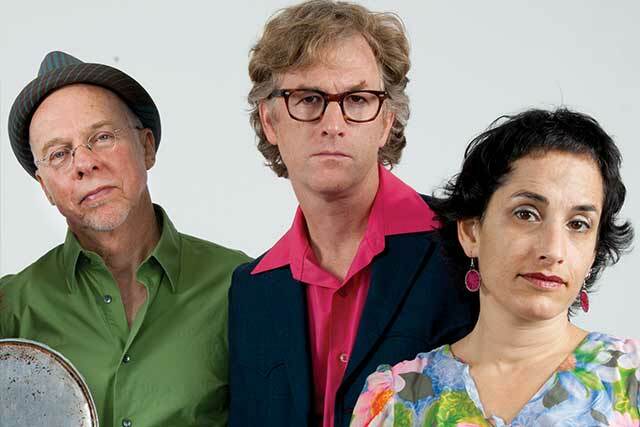 Their 2012 eponymous release Evie Ladin Band won Americana Album of the Year from the Independent Music Awards Vox Pop Vote. The polyrhythmic heat of Evie’s clawhammer banjo, resonant voice, real stories and rhythmic dance have been heard from A Prairie Home Companion to Celtic Connections, Lincoln Center to Hardly Strictly Bluegrass. Known as a driving force behind San Francisco’s Stairwell Sisters, Evie grew up in an East Coast traditional music scene, but has always lived in urban centers – which all informs her songwriting, praised for making people laugh and cry.